The Skanner published endorsements for this year’s city and county races earlier this week; our endorsements for statewide and Congressional races follow. Polling is tight in some races this year, notably the governor’s race between Democratic incumbent Kate Brown and incumbent Knute Buehler, and as always, turnout is critical. In Oregon, voters’ pamphlets for the November 6 election will be delivered this week (Oct. 10-12). Oregon voter registration deadline is Oct. 16. You can register online or check your registration here. 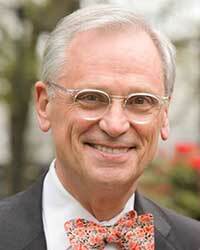 Earl Blumenauer is a proven leader and advocate for the state of Oregon. Most Oregonians know him as the high-profile environmental Congress member. But he is always at the forefront no matter which issue is raised—voting rights, gun safety, health care, jobs, VA reform, social security, he makes the strong case for the people of this state. He is the most experienced, and best qualified to continue representing Oregon in Washington DC. Kate Brown, the consistent, steady, strong governor of this state has a reputation for taking on tough issues, and fighting for the people in an ethical and determined manner. She is not a show-off, or grandstander, she doesn’t need to shout to make a point, but she gets the job done in her own decisive way. While she represents everyone in the state, rural and urban, she is known in communities of color as a person who hears their concerns and takes action. In North and Northeast Portland she is highly regarded as a champion of health care for children and families, a strong supporter of education, and making sure there are highly qualified educators and programs for students. She has advocated for making college affordable, especially for low-income students through the expansion of the Oregon Opportunity Grants. Governor Brown has worked to continue federal funding for mental health and health-related disabilities, protection for immigrant families, building affordable homes throughout the state. She has also focused on housing for the homeless population. And she is a proponent of sensible gun control. Kate Brown is the proven leader who gets things done, she and has a plan to do much more for the citizens of this state. Her opponent, Knute Beuhler, wants to be all things to all people, but has been held up to scrutiny and comes up inconsistent. However, he is consistent in his opposition to sensible gun control legislation, and to women’s reproductive healthcare rights. Not to mention immigrants’ rights, and a long list of other issues we should be concerned about. He is not the person we want to lead this state. We need a governor who stands up for all people. Kate Brown is that person. 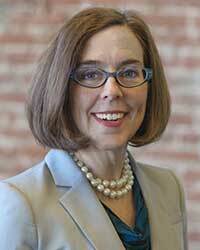 VOTE YES FOR KATE BROWN. MEASURE 102 - Amends Constitution to allow local bonds for financing affordable housing with nongovernmental entities. MEASURE 104 - Amends the state constitution to expand current requirements for legislative bills that increase revenue. If passed, fees and changes to tax exemptions, deductions and credits – not just tax levies or increases – would require a three-fifths majority. The current law states that bills for raising revenue, which require a three-fifths majority, are limited to bills that levy or increase taxes. MEASURE 105 - Would repeal Oregon’s sanctuary state law. MEASURE 106 - Amends the constitution to prevent spending “public funds” for abortion and to reduce abortion access.